Major factors impacting growth of the automotive LED light market include expansion of automobile industry, surging sales of lightweight vehicles across the globe, focus on energy efficiency, and soaring LED penetration. This Fact.MR report discusses key prospects for growth of global automotive LED light market during the forecast period, 2017-2022, offering pragmatic insights to lead market players towards devising & implementing informed strategies. The scope of the report is to analyze the global automotive LED lights market for the period 2017-2022 and give readers an accurate, unbiased analysis. Automotive LED light manufacturers, suppliers, and stakeholders in the overall automotive market can benefit from the insights offered in this report. The comprehensive analysis offered in the report can also be of interest to leading automotive journals and trade magazines. The report begins with a concise summary of the global automotive LED lights market. This executive summary sets the tone for the rest of the report, giving users the scope of the report. The executive summary includes important facts and statistics on the global automotive LED lights market. The next section is an overview of the global automotive LED lights market. This includes the introduction to the market and a standard definition of the product – automotive LED light. In this section, year-over-year growth and market value is offered to readers. Year-over-year growth gives readers a broader picture on growth patterns during the forecast period. The next section of the report offers a thorough description of the latest macroeconomic factors that have a bearing on the global automotive LED lights market. Considering the interconnectedness of the automotive LED light market to global automotive market and, in general, the global economy, readers will get valuable insights on how international developments impact this market. In a bid to keep readers up-to-date on the latest developments in the global automotive LED lights market, the report offers readers a roundup of the latest trends impacting the market. As the automotive sector is ever-evolving, staying abreast with latest trends and developments is paramount to formulating key business strategies. Information on supply chain, cost structure, pricing analysis, raw material sourcing, and list of distributors are offered to readers in this section. Considering the wide scope of global automotive LED light market, Fact.MR’s report offers a segment-wise analysis and forecast. The global automotive LED light market is categorized into – application, sales channel, and region. In this section, the report renders an in-depth country-wise forecast on each parameter pertaining to automotive LED lights. The concluding section of the report profiles companies operating in the global automotive LED lights market. Companies of all sizes, including market leaders, established players, and market entrants are profiled in this section. The competitive intelligence offers information on company overview and other important parameters, such as product offerings and key financials. Not to get all Nicholas Cage in Wicker Man here, BEEEEEEEESSSS!!! We need our bees. Big fluffy bumbly ones, the less fluffy honey ones, the ones that are actually just a bear in a bee costume. We need them all. They pollinate our plants—like, say, our coffee trees—and help make sure we can survive on this little rock floating through space. And like with the coffee trees themselves, climate change is endangering the bees. That may not be particularly revelatory information, but a new study in the Proceedings of the National Academy of Sciences states that climate change will affect these two things—coffee trees and bees—differently and that it may have a compound effect on coffee production. Using computer modeling, researchers predict that most coffee growing areas will experience a decrease in the number of bee species, though they do note that around 16% will see an increase. If you’re in the pour over camp, temperature is key. Getting your kettle to the right spot, just to have your coffee hit a cold mug, is a disservice to yourself (and those artisan beans you decided to splurge on). 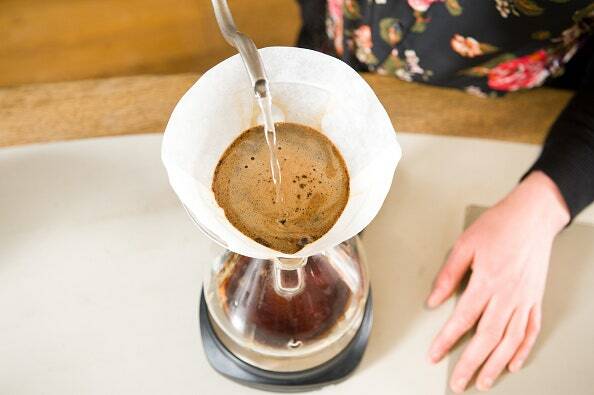 Before you add water to your ground beans and filter, pour a little of the hot H2O into your mug. Filling it about a third of the way will warm the walls of the mug during the few minutes it takes to brew your pour over. Your coffee will keep its temperature and flavor longer, kind of like putting your socks in the dryer before heading out into a blizzard. Which you should also do. 200 degrees. That’s the water-temperature that all coffee Jacuzzis should be set to. If you’re boiling your water and pouring it directly over the grounds in your French press or Chemex, let it cool it for a bit while you take a run through last night’s Twitter happenings. 20-40 seconds of wait time after your boil should lower your water temperature to around 200 degrees. Patience will make your coffee better. Use them. Use the hell out of your beans. 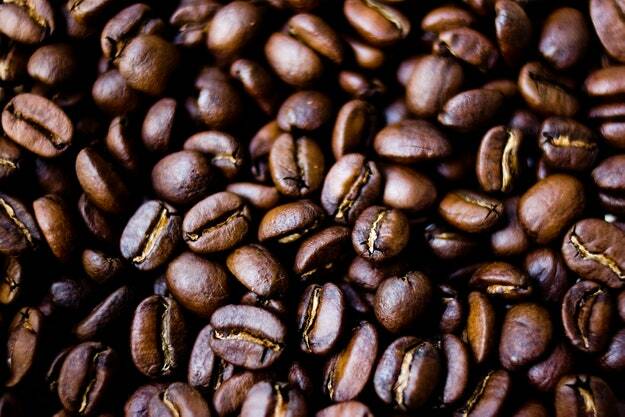 Don’t save them for special occasions, because the further you get from the roast date, the weaker the flavor will be. Around the BA Test Kitchen, we describe the two-week old bean flavor as cardboard-y, because honestly, that’s what they start to taste like. Coffee can taste like a lot of things, but we’d rather it not taste like corrugated paper. Keep your bean supply on the smaller side (don’t freeze that stuff! ), and use what you have, when you have it. As a general rule, a 1:16 ratio of coffee to water is a great place to start for above-average beans (we’re talking the stuff you’d buy from an independent coffee roaster). We like to measure by weight (about 22 grams of coffee to 352 grams of water) for a precise ratio, but roughly it translates to about 3 tablespoons of coffee to every 12 ounces of water (or ¼ cup coffee to every 4 cups water). You can play with the ratio depending on how strong you want it. Whether we’re talking pour over or a classic drip machine, you should be wetting your coffee filter before putting any ground beans in it. Filters always have a flavor, despite their treatment, and hitting it with some water will help get rid of it. A damp filter will also hold tighter to the surface of your machine, preventing slips and mishaps. Just a bit of water will do, no need to go full monsoon. Oh, look at you. 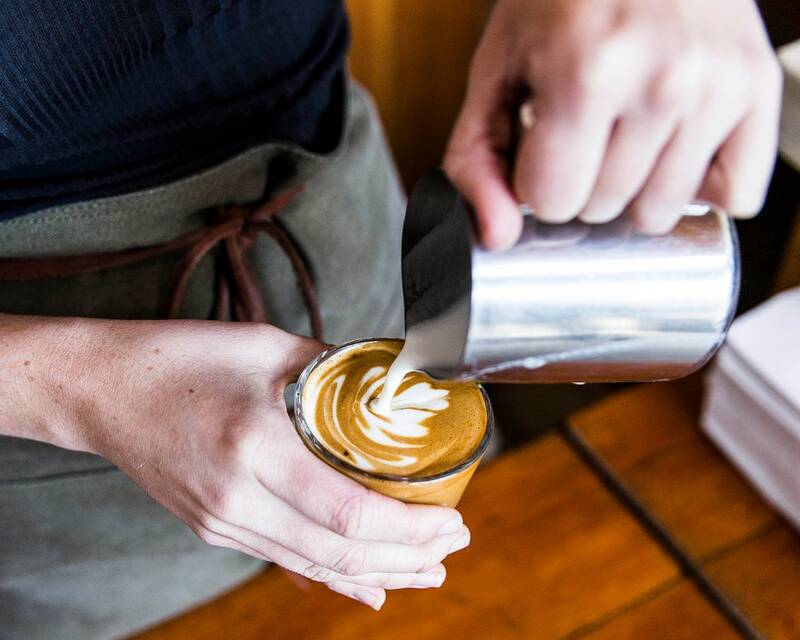 You have an espresso machine at home. We’re jealous. But you better know how to use it properly, if you’ve made that kind of investment. First things first, make sure the screen that sits on top of your ground, compacted beans is totally wet before brewing. Getting the whole screen wet will make sure water runs evenly through the entire thing while brewing. This means the coffee sitting beneath will be hydrated evenly, and your flavor will be concentrated and consistent. That tan, creamy froth sitting on top of the dark brown espresso has a name. It’s called crema. And when you’re testing out some new beans, it holds a lot of flavor information. Breaking up the crema with a spoon (read: stirring it into your espresso) releases tons of aromatics that let you know what that coffee is all about. Take a minute. Get to know the beans. You’ll both be better for it. 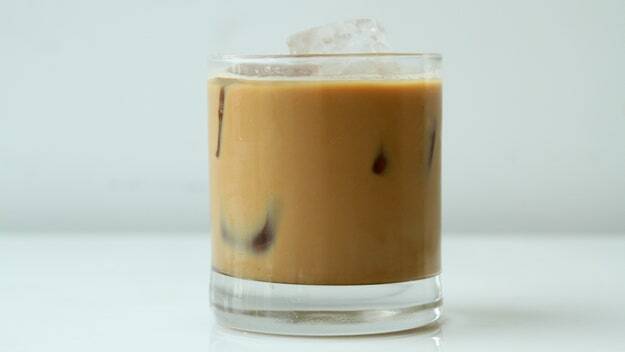 Iced espresso is a truly wonderful thing, but pouring that hot liquid directly over frozen water means a bunch of melted ice (the same can be said for icing regular coffee at home). The workaround is simple. 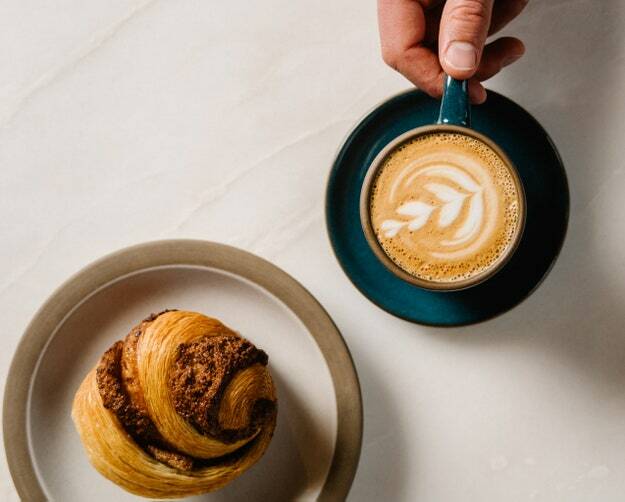 After pulling a shot (or two) of espresso, add the cold milk (whether it be whole, hemp, almond, or whatever’s cool at the moment) directly to the espresso. Then pour the cooler espresso over the ice. A lower temperature espresso means less water, which means more smack-you-in-the-face espresso flavor. We like the face-smacking. A variety of colors for official Apple accessories are reportedly vanishing from the company’s online and retail stores, suggesting that it’s phasing out some options, and/or allowing stocks to deplete before new devices arrive this fall. In Japan, nine iPhone 7 cases, 18 iPad cases, and 13 iPad Smart Covers have disappeared, Macotakarasaid on Friday. Also gone are a number of Apple Watch options, include 12 sport bands, seven nylon bands, and some Nike and Hermes accessories. The situation is less severe in countries like the U.S. and the U.K., but may still be indicative of a global trend. Apple often scales back the color options for older accessories as new devices launch, choosing to shift focus. It’s also possible however that some colors won’t return in a new form if Apple considers them unprofitable. The company is expected to launch at least four new devices this fall, led by the “iPhone 8”, “iPhone 7s,”and “iPhone 7s Plus.” The fourth is a third-generation Apple Watch with LTE. Apple released updated iPads earlier this year, and indeed some of the accessories gone in Japan were for the 9.7-inch iPad Pro and iPad mini 4. Three of them, however, were Smart Covers for this year’s 10.5-inch Pro. Keep your mobile phone battery charged. In case of a power outage, have another way to charge your phone like an extra battery, car charger or device-charging accessory. Applicable sales tax holidays are a great time to stock up on cell phone accessories. To help customers prepare for the storm, AT&T is discounting batteries 20% at local retail stores in affected areas. Keep your mobile devices dry.The biggest threat to your device during a hurricane is water. Unlike dummy phone that is water resistant. Keep it safe from the elements by storing it in a baggie or some other type of protective covering, like an Otterbox phone cover. Text messaging. During an emergency situation, text messages may go through more quickly than voice calls because they require fewer network resources. All of AT&T’s wireless devices are text messaging capable. Depending on your text or data plan, additional charges may apply. SUMMIT COUNTY – Inside the Summit Medical Center’s Ten Mile Room, Summit County Sherriff Jamie FitzSimons and Summit County coroners are trying to solve a mystery. It started in the rugged mountains of the Ten Mile Range between Copper Mountain and Breckenridge in an area called the Sky Chutes. Last year, hikers found the skeletal remains of a man who in the winter of 2012 brought a backpack full of high-end survival gear and three magazines of ammunition, and then ended his own life with a gun. “The gear he had leans to survival in bad weather and yet he took his life,” FitzSimons said. The gun’s serial number was removed and the man didn’t have identification. There wasn’t a car, truck or even a snowmobile nearby. After a year without leads, investigators turned to Forensic Artist Beth Buchholzt to use the man’s skull to make a 3D rendering out of clay of what he may have looked like. “The first step is to do a 3D laser scan of the skull and then those are printed into plastic on a 3D printer and the clay is applied,” Buchholzt said. It’s not a perfect match. The nose, ears and lips might not be exact, but it’s pretty close. “It’s not going to be an exact portrait of him, but hopefully someone who knew him in life who was friend or family member might recognize him,” Buchholzt said. Sheriff FitzSimons says identifying the man would finally close a case more than four years in the making. “Hopefully they can look at this clay rendition and the clothing and try to put it all together and remember something,” said FitzSimons. If you have any information that might help, you can contact the Summit County Coroner’s Office at 1-970-668-2964, or email the Summit County Sheriff’s Department at Robert.Pearce@SummitCountyCO.gov. The company, which largely specializes in scanning spaces for commercial and real estate purposes, announced today that they’ve picked up $5 million in funding from Ericsson Ventures. This strategic raise brings the company’s total announced funding to $66 million according to Crunchbase. As 3D rendering grows more important thanks to spatial computing platforms like VR and AR, Matterport has one of the biggest libraries of 3D environments thanks to its loyal and prolific users who have uploaded over a half million scans of public and private spaces which are already viewable in VR. A big focus of this new investment is taking these 3D scans and striving to gather more and more insights from them through deep learning-based AI development which will not only help them understand what’s in a space but how to improve the quality of the 3D images themselves. “Ericsson Ventures saw the tremendous opportunity Matterport has to extend our technology lead by using our massive library of 3D models as a deep learning training dataset to create AI that will be the basis for our next generation products,” Matterport CEO Bill Brown said. In May the company launched its Pro2 camera, which addressed a big request from existing customers who were excited about the potential of 3D 360 room scans but still needed 2D images to put into print materials. The camera retails for $3,995 and is available now. The in-house design team at the 3M Buckley Innovation Centre (3M BIC) has used 3D technology and augmented reality to help Ginetta fine tune its latest prototype. Having already provided a similar service for the launch of its first prototype in 2015, Ginetta approached the 3M BIC design team to animate its £1.3millon LMP1 machine. This enabled the car manufacturer’s own in-house design team to visualise the cars development, as well as showcase it at a launch event at Silverstone Circuit to potential buyers. Ewan Baldry, technical director at Ginetta, said: “3D technology is an important part of our design process and marketing. To see something on a flat CAD screen has a few limitations, so being able to see something you can move around is very helpful. The animation for the LMP1 car was created using physical STL data (used for Computational Fluid Dynamics (CFD) testing or wind tunnel analysis) submitted to the 3M BIC design team by Ginetta. Some adjustments had to be made to the original model in order for it to be re-textured with the corresponding racing livery, using Autodesk 3DS Max. The team then rigged the car for animation and set the lighting for rendering purposes. Paul Tallon, lead consultant designer at the 3M BIC, said: “3D rendering is a process in which an algorithm calculates the movements of a virtual photon on interaction with a surface of varying qualities. As well as the on-screen render, the design team produced the car in augmented reality (AR) for use with the Microsoft Hololens, enabling people to walk around a scaled down holographic version of the car. A 3D model was also printed in nylon by selective laser sintering (SLS) using the industrial additive manufacture printer on the 3M BIC’s Innovation Avenue, all of which were showcased at the launch event at Silverstone. Significant interest in the LMP1 has already been expressed following the launch event, from both new and existing customers. The 3M BIC design team is currently working on the next stage of the process which involves creating a serious gaming experience that allows users, particularly racing drivers, to virtually test the LMP1 car on a track with varying different scenery and weather conditions to enhance the driver experience. Leeds-based Ginetta, the leading British race car manufacturer, was founded in 1958 and acquired by racing driver and businessman Lawrence Tomlinson in 2005. Since then it has taken the racing industry by storm, selling cars across the world and training some of the brightest stars in motorsport. Tritec Marine is using Virtalis’ new ActiveMove CVR system which integrates a Head-Mounted Display (HMD) to form a small, turnkey VR solution in a box. Tritec is known for naval architecture and embedding teams of engineers to supervise builds in China and Korea, but the company is increasingly moving towards developing concept ship designs which directly solve existing and challenging maritime transportation problems or improve on current practices. Visionary Render delivers advanced rendering of huge models in real-time with ease of importing from a range of data sources, maintaining naming, hierarchies and the all-important metadata. ActiveMove CVR combines a best in class consumer headset and a VR-ready Lenovo laptop integrated into a custom designed case to provide a VR solution that can be assembled in minutes. The first project that CVR is being deployed on involves radical concept designs for ships transporting Liquefied Natural Gas (LNG) and Liquefied Petroleum Gas (LPG). With a recognition that autonomous ships are considered by many to be the future of commercial shipping, Tritec is developing a revolutionary ship/port interface that automatically moors and unloads its cargo.